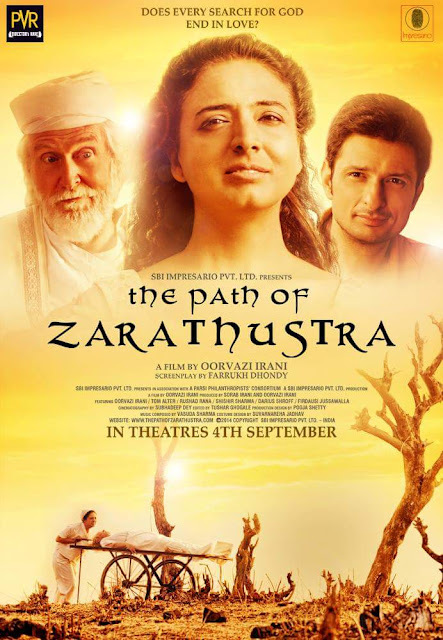 Mumbai, Aug 07, 2015: ‘The Path of Zarathustra’ is all set to release under the PVR Director's Rare banner on 4th September 2015. 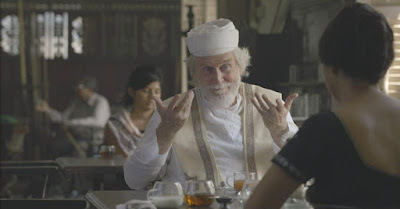 Directed by Oorvazi Irani, the movie touches upon the theme of Parsi community and their ancient faith - Zoroastraianism, founded by the first Prophet, Zarathustra. The movie will see a release in Mumbai, Pune, Delhi/NCR, Banagalore and Surat. ‘The Path of Zarathustra’ stars Oorvazi Irani, Tom Alter, Rushad Rana and Shishir Sharma. The screenplay of the movie is written by the celebrated author and writer of Parsi decent, Farrukh Dhondy. Besides being a director & actor, Oorvazi Irani dons many other hats of being an artist, educationalist and an entrepreneur also. Besides this, she is a pioneer in bringing the Michael Chekhov acting technique to India via a DVD release which was produced & directed by her. Speaking on the release, Mr. Sanjeev Bijli, Joint Managing Director, PVR Ltd. said, "It is an extreemly important film to be seen by all. The Path Of Zarathustra reflects on the deeper perspective of Parsi faith, religion and their lost identity. We are proud to be associated with the film. ‘The Path of Zarathustra’ will be releasing across theaters in India on September 04, 2015. PVR is the largest and the most premium film and retail entertainment company in India. Since its inception in 1997, the brand has redefined the way people watch movies in India. With this addition, PVR currently operates a cinema circuit comprising of 474 screens spread over 106 properties in 43 cities pan India. The company acquired the Cinemax properties in 2012 and currently serves 60 million patrons at PAN India level. Currently amongst the top 10 cinema companies in the world with respect to admissions per screen, PVR has entered the World Economic Forum's List of Fastest-Growing 'Global Growth Companies’. It is an alternate programming initiative of PVR Limited focused on showcasing an exquisite undiscovered cinematic gem every week. The banner also works as a spring board encouraging the theatrical exhibition of Indian Independent cinema and niche content. Launched in October 2011, PVR Director's Rare has done the India theatrical release of 41 critically acclaimed films which includes the re-release of the digitally restored version of Kundan Shah’s JAANE BHI DO YAARO, Mira Nair’s landmark debut feature SALAAM BOMBAY!, national award winning film ANHEY GHORHEY DA DAAN, India’s first collaborative feature film THE LAST ACT with Royal Stag Large Short Films (also known as Project 12.12.12 with Anurag Kashyap), Shivendra Singh Dungarpur’s CELLULOID MAN, Stevan Riley's documentary on West Indies cricket team - FIRE IN BABYLON, Faiza Khan's award winning documentary on the cottage film industry of Malegaon - SUPERMEN OF MALEGAON, Aamir Bashir's HARUD dealing with the human side of the situation in Kashmir in a manner that we rarely see in Indian cinema, Pawan Kumar’s trendsetting Kannada indie LUCIA, Dylan Mohan Gray’s Sundance nominated FIRE IN THE BLOOD etc.